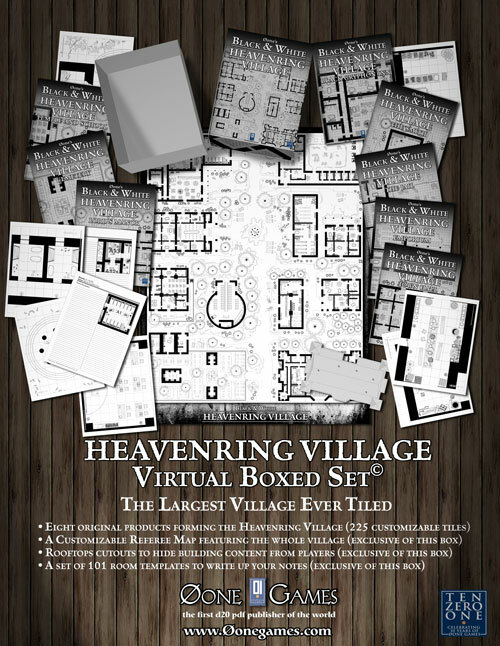 Heavenring Village contains 11 buildings, 101 rooms, 8 different zones (each one featured in a single product) and it’s broken in 225 customizable tiles. This is the Lord's Manor and it is 5 of 8 products forming Heavenring Village. 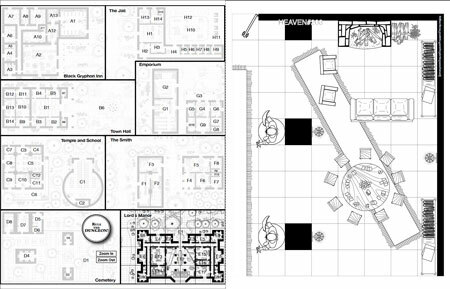 Lord's Manor contains a referee map and 28 customizable tiles.